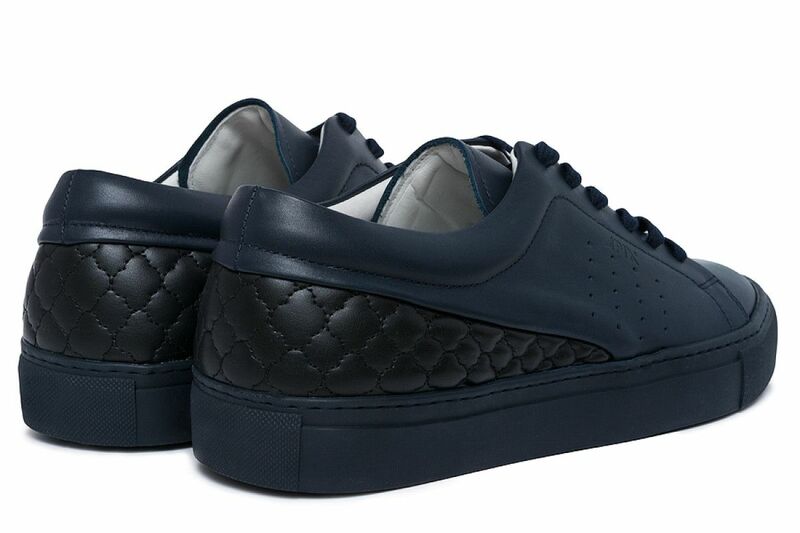 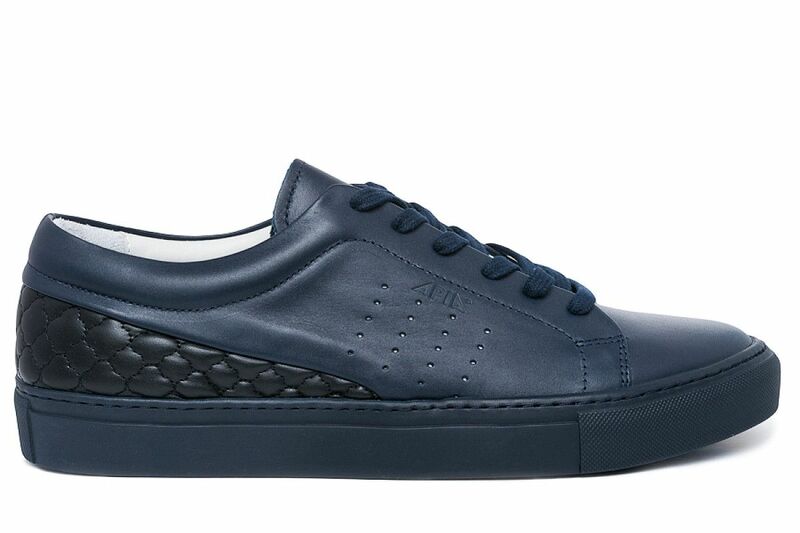 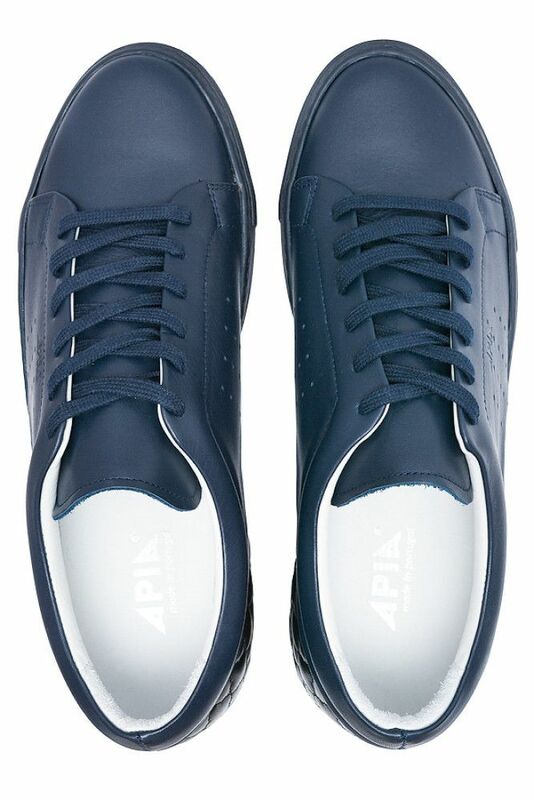 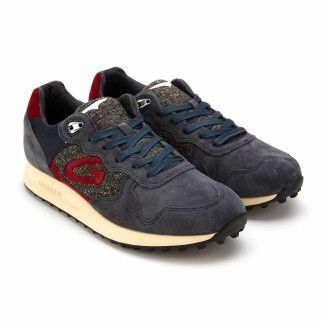 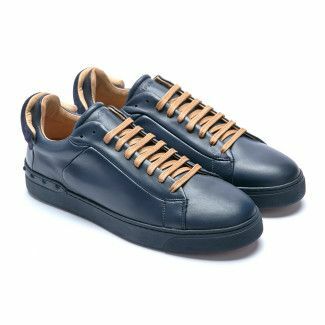 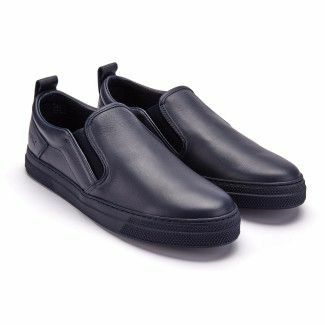 Navy blue leather sneakers. 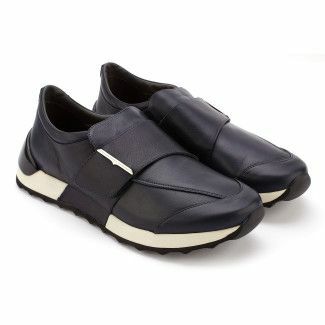 Simple, minimalist form deprived of unnecessary ornaments. 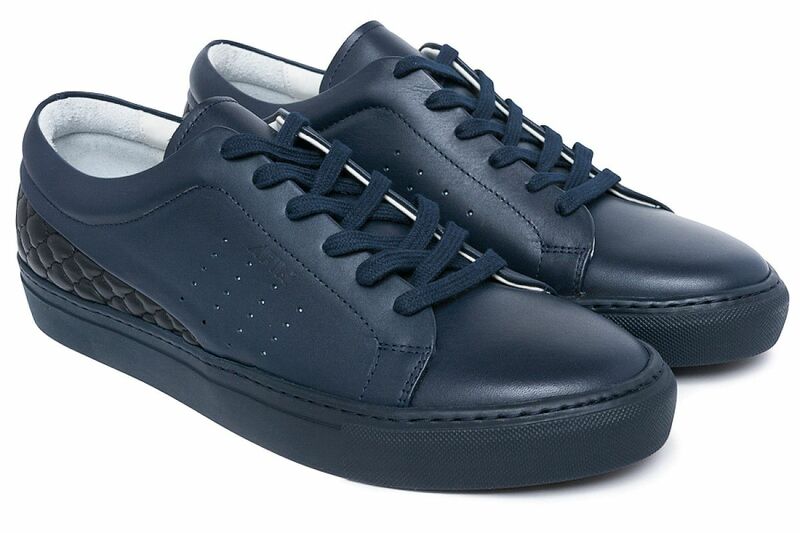 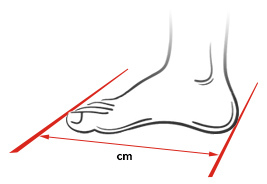 Most in style, monochrome shoes in which the upper and the sole are in one and the same colour. 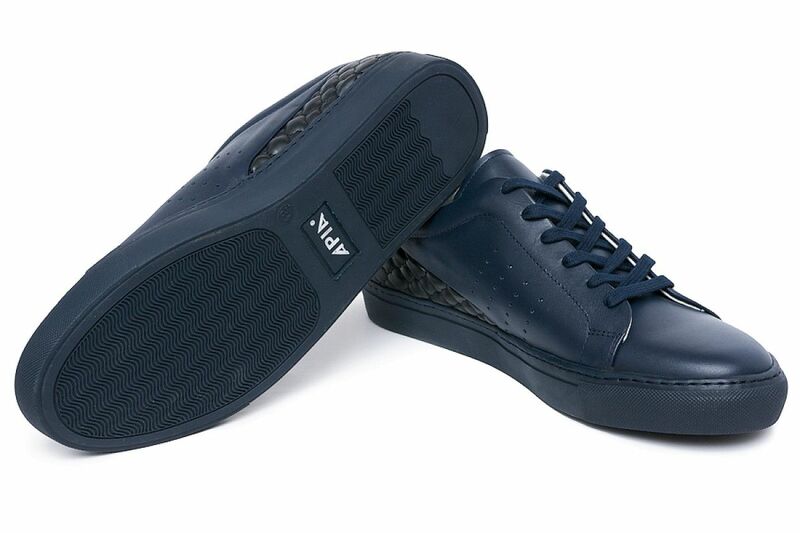 Comfortable casual shoes that are a perfect match for your casual wardrobe. 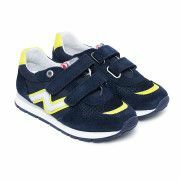 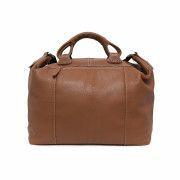 They look great paired with jeans, trendy joggers, chinos or skinny fit trousers.